Bengaluru may not run out of water so quickly. Here is why. 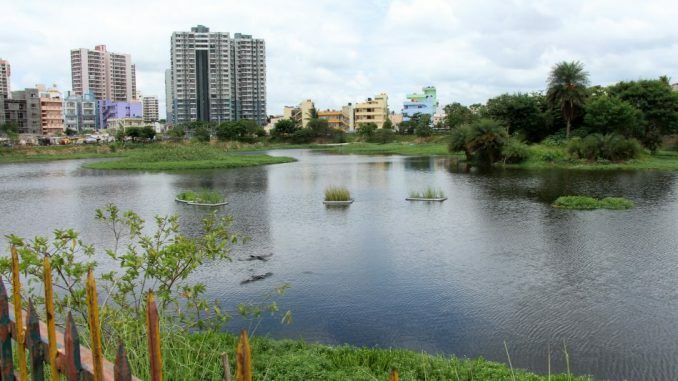 Reason 1 – solid water planning for the city: Bengaluru never has depended on its lakes and tanks formally for its water supply since the commissioning of the Hesarghatta project in 1896. It now gets its waters from one source, the Cauvery river at Torekadinahalli. 18 tmcft of water has been allocated currently to Bengaluru out of the 270 tmcft allotted to Karnataka by the Cauvery water tribunal. Reason 2 – rains: Bengaluru has an average rainfall of minimum 800 mm, spread across its 1250 sq.km. of metropolitan area. This translates to 2740 million litres per day of water available as rain (if the 800 mm water for 60 rainy days is spread across 365 days). Even if we imagine the population of Bengaluru metropolitan area to be 2.5 crores, the rainwater itself will come upto 109 litres per head per day! Of course we don’t use all that rainwater currently. Harvesting rainwater has begun slowly but surely across the city, from individual buildings to lakes and aquifers. This year, following heavy rains after a year of severe drought even wells have filled up. Reason 3 -waste water treatment : Waste-water treatment and recycling is picking up, thanks to sustained pressure from civil society and courts. This will ease the burden on fresh water resources. This apart, the physical losses caused by leakage of pipelines actually recharge groundwater. Most of the doomsday predictions actually do not take into account that the groundwater table is pretty high in the city centre. This is due to the availability of Cauvery water and leakages getting recharged in the ground. This too is broadly extracted as groundwater from wells and bore-wells. This of course does not mean that we sit on our haunches and believe things to be hunky dory. People of Bengaluru need to do the following to avoid the doomsday totally even in the remote future. Lastly draw up plans to bring water from the Sharavathy reservoir as quickly as possible. A city with a 392 thousand crore economy (annual GDP) and a population of 11 million expected to go upto 20 million deserves to be water secure. Locating ward offices is the first step to solving any problem. Help fellow citizens locate ward offices easily! I was a resident in Belathur,Whitefield for 3 years and the bore well never had water. Even major of the house was dependent on water tractors. Drinking water need to depend on can water.Major of my known friends depends on can water and tractors for water. Even big apartment depends on water trucks. One known place for me is domlur.If wat has mentioned is true then why this situation in bangalore. If so much resident and apartment can’t get bore well water or carvery water then how come these tractors , trucks and can water suppliers get it. Don’t say all comes out of city. I know there are local suppliers who were supplying water at my home.STOP WATER MAFIA who is looting both water and money. Don’t put all blames on authorities and people. Already people at bangalore are the highly paying taxes and other charges, fees to government.Give some worth for the money we pay. I agree with Mr. Vishwanath, what Bengaluru needs to proper water management, public engagement efforts and some ownership from citizens like us. We simply can not keep blaming authorities without doing our part. This has to be a concerted effort if we want our city to remain attractive for business and thriving and livable for us and our future generations. In spite of all these lectures, I would like to bring the following to the concerned and comment on it. A bore well was dug right in front of my gate. It is hampering vehicles to stop before my residence. 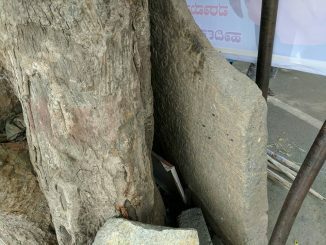 I would have tolerated even this But it is more than 8 months and no action whatsoever has been taken by the water board to connect this to the residences of 2ndcross, Dinnur Main Road, R.T.Nagar. The bore well pipe is jutting out like a sore thumb right in front of my house.Now don’t you think that the concerned authorities are sleeping on the matter?